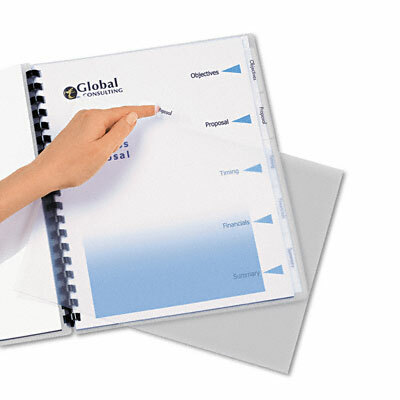 Label divider tabs all at once using Easy Apply™ label sheets. Clear labels virtually disappear on premium white divider tabs. Unpunched for use in alternative binding systems. Laser and inkjet printer compatible. Label divider tabs all at once using Easy Apply™ label sheets. Just print, peel and press. Clear labels virtually disappear on premium white divider tabs. Unpunched for use in alternative binding systems. Laser and inkjet printer compatible.